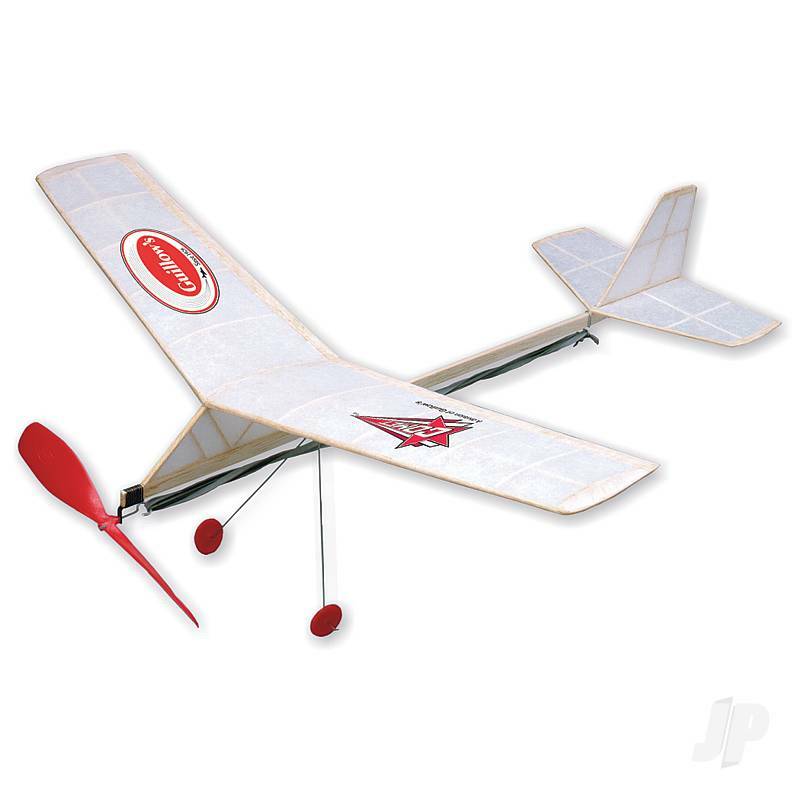 Build-N-Fly models are designed to take a builder with little or no experience in model airplane building from the very basic all balsa "Trainer" glider to the "Fly Boy" a box fuselage, stick & tissue rubber powered model. Including LASER CUT BALSA PARTS. This is the THIRD SKILL LEVEL in the "Build-N-Fly" construction kit series, a series which will teach you how to build and enjoy flying model airplanes. 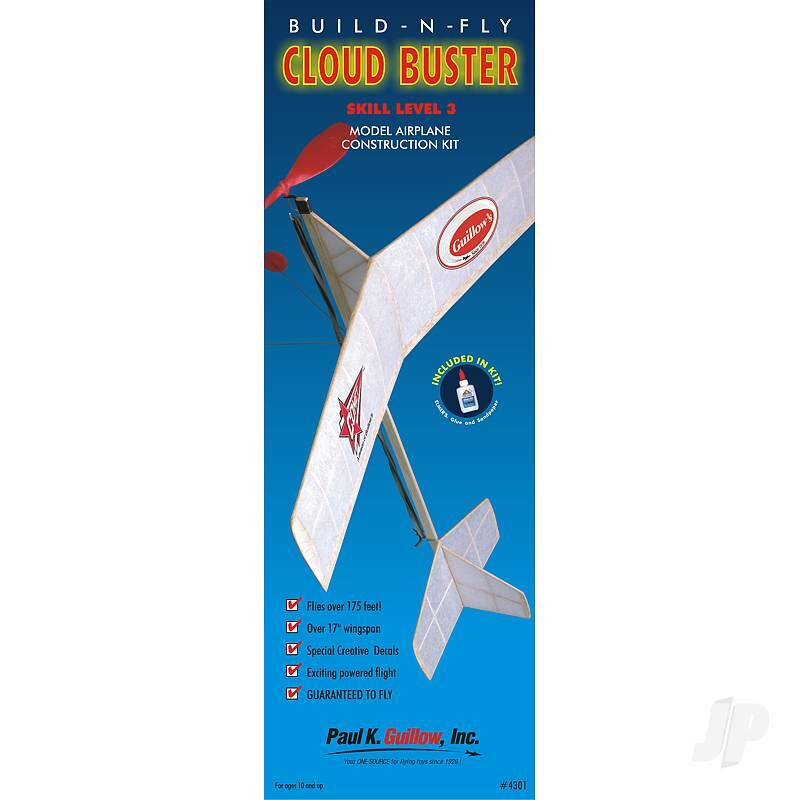 The Cloud Buster is a rubber powered model airplane which includes landing gear and a specially designed airfoil to advance your skills in model building. A real high flyer that will start you on your way into the "wild blue yonder". Build-N-Fly models are designed to take a builder with little or no experience in model airplane building from the very basic all balsa "Trainer" glider to the "Fly Boy" a box fuselage, stick & tissue rubber powered model. Build-N-Fly models are ideal for individual use or for group model building such as in scouts or a school class. Each kit contains the right combination of building material and "power package" where needed to assemble an attractive model with good flying ability. For ages 8-13 and up. You can also find more similar products in the Guillow brand store in Model Kits/Simple Build-n-Fly.